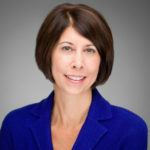 Nancy La Vigne, Director of the Justice Policy Center at the Urban Institute, is an expert in crime prevention, criminal justice evaluation and criminal behavior. La Vigne served as a senior research associate at Urban and the founding director of the Crime Mapping Research Center at the National Institute of Justice. She also served as an assistant to the assistant attorney general for the Office of Justice Programs within the Department of Justice. She served as a research director for the Texas sentencing commission, research fellow at the Police Executive Research Forum and consultant to the National Council on Crime and Delinquency. She has received awards from the National Institute of Justice, Rutgers and the Lyndon Baines Johnson Foundation. She is a member of the Consortium of Social Science Associations, the American Society of Criminology and the Academy of Criminal Justice Sciences. La Vigne has published dozens of research reports with Urban and has written articles published in scholarly journals including The Prison Journal, Security Journal and Journal of Offender Rehabilitation. She received her Ph.D. in criminal justice from Rutgers University, M.P.A. from the University of Texas and B.A. from Smith College.